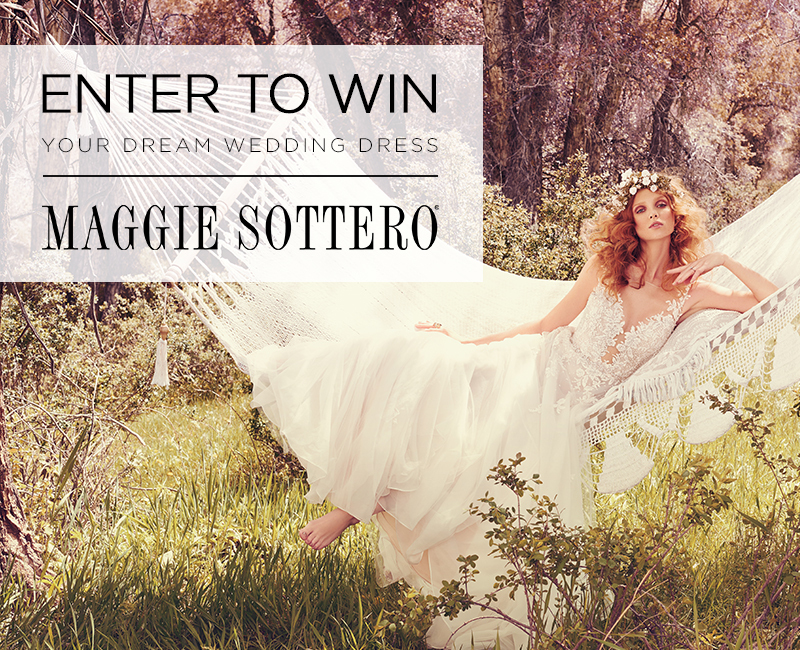 Enter to Win a Maggie Sottero Wedding Dress! If you’re looking for an ethereal wedding dress, you’re already familiar with Maggie Sottero. Each style is timeless yet decidedly modern and packs just enough romance and whimsy to appeal to even the pickiest brides. In fact, we’re so in love with Maggie’s styles that we’re giving one away! No catch, brides. Just make sure you live in the US and your dress of your choosing is from the Maggie Sottero Collection and under $2,500. Just read the T&C, submit the form below, and you’ll be entered for a chance to win. Not sure where to begin? Check out our Wedding Dress Gallery and check out Maggie Sottero’s styles. Remember, you can pick any dresses in the Maggie Sottero collection under $2,500. Yes, that includes the latest Spring 2017 collection, too! Giveaway ends February 28, 2017. Winner selected March 8, 2017. Approximate retail value of prize: $2,500. By submitting, you agree to the Giveaway Terms & Conditions.